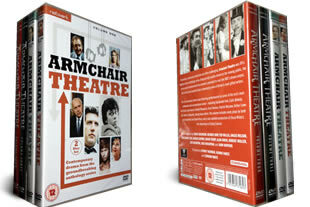 Armchair Theatre DVD box set. The complete 4 volumes on 12 dvd's. DELIVERED FREE IN THE UK. Armchair Theatre was a hugely popular television drama series that ran from 1956 -1973. Volume 1 collection of eight plays broadcast between 1970 and 1973, includes performances by Tom Bell, Billie Whitelaw, Richard Beckinsale, Peter Barkworth, Rita Tushingham and Beryl Reid. Episodes: Say Goodnight to Your Grandma, Office Party, Brown Skin Gal, Stay Home and Mind Bay-Bee, Detective Waiting, Will Amelia Quint Continue Writing A Gnome Called Shorthouse'? ', The Folk Singer, A Bit of a Lift and Red Riding Hood. Volume 2 collection is a further eight plays, first broadcast between 1970 and 1974. With performances from, among others, John Thaw, Anton Rodgers, Kenneth Haigh, Bill Maynard, Susannah York, Gordon Jackson and Warren Clarke. Episodes: Wednesday's Child, Competition, The Left Overs, High Summer, The Creditors, The Death of Glory, The Square of Three, According to the Rules Volume 3 collection includes twelve plays taken from the series' first manifestation, originally broadcast in the 1950s and '60s. An impressive list of writers includes J.B. Priestley, Harold Pinter, James Mitchell, Fay Weldon and Alun Owen; Starring talented actors Patrick McGoohan, Stanley Baker, Billie Whitelaw, Colin Blakely, Judy Cornwell and Hugh Griffith in these first class dramas. Volume 4 collection includes 12 plays, originally broadcast between 1958 and 1966. 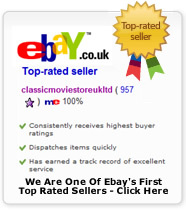 With performances by some of the era's most talented and accomplished actors, including Susannah York, Frank Finlay, Ian Holm, Irene Handl, Donald Pleasence, Terry-Thomas, Patrick Macnee, Arthur Lowe and John Le Mesurier. This celebrated television series showed the network's potential to revive the BBC's drama output, with distinct and powerful plays showcasing some of Britain's most gifted writers.